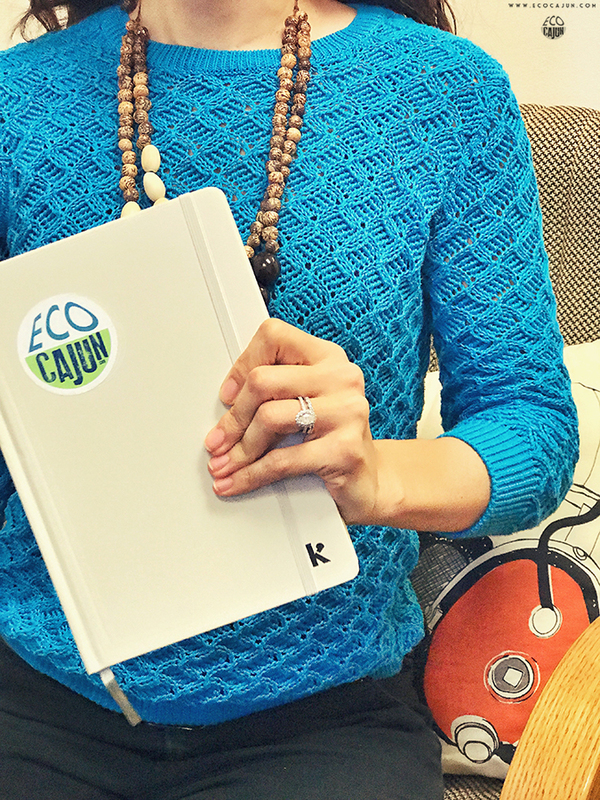 A few months ago, one of my columns for the Times of Acadiana covered how you can reduce your paper usage on a daily basis. After the column went live on the website, I received an email from Jonathan with Karst Stone Paper, where he introduced himself and the brand. 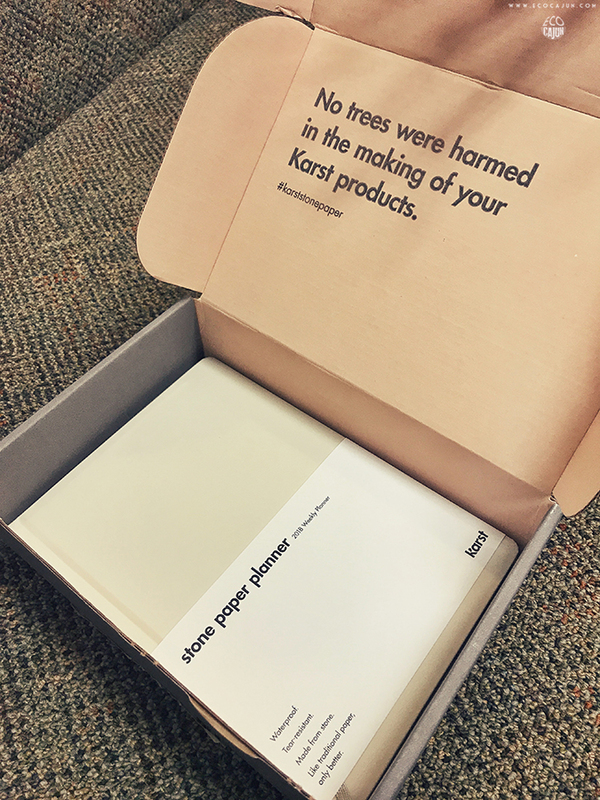 All of Karst's notebooks and planners are made with tree-free paper - specifically, the paper is made from recycled stone. Jonathan and the Karst team agreed to send me a 2018 planner to check out in person, and it's so far been a great addition to my compulsive need to organize! I'm a big proponent of going paperless, and my calendar, reminders and tasks primarily live in Google and Todoist. 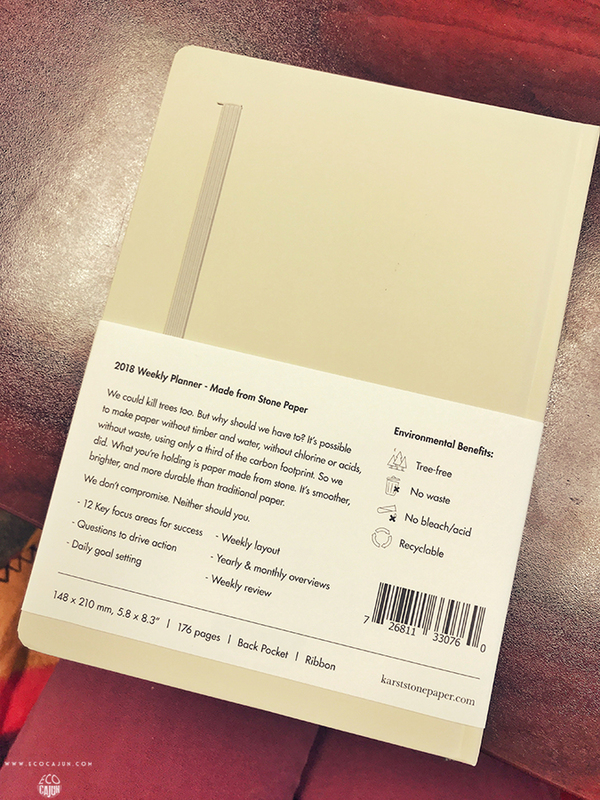 When I'm at my day job, I still swear by a notebook made of recycled paper for my work notes and task lists. I keep a recycled paper Ecojot notebook for blog content brainstorming and other notes. This planner is fitting in well to my system so far, giving me one more spot to keep my reminders and giving me an overview of my weeks and months. So far, it's fairly empty, but I'm excited to see how the pages fill up over the next 11 months. I've minimized a few of my 'extracurriculars', but I know that my calendar will still stay pretty full, because I cannot sit idle! Plus, the older I get, the more reminders and help I need to keep my head on straight. When the box arrived in the mail, I was excited to see that it wasn't full of packing filler waste. It sometimes catches me off-guard when an eco-friendly or sustainable brand ships an item with some kind of plastic wrapping or filler. The planner is weightier than I expected, but not cumbersome by any means. I was extremely intrigued to feel the paper for myself - it has a very silky smooth texture, making me feel a lot more refined than I actually am. 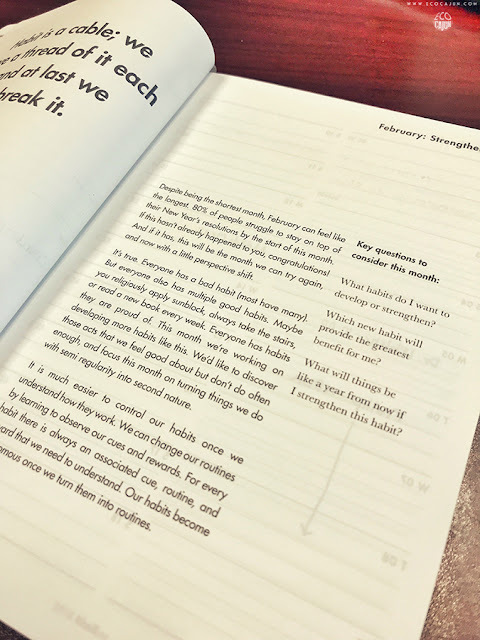 Each month has a different focus, with a little inspiration that reminds me of my daily meditations, and with key questions. 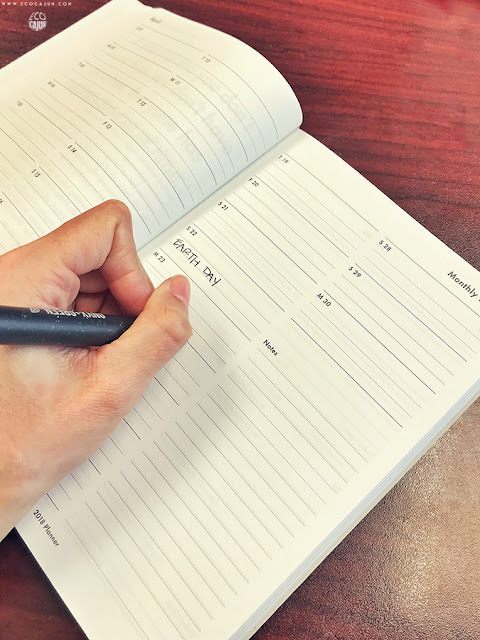 There's a monthly view with space for notes, and a weekly view that allows you to write a daily goal (and then hold yourself accountable to if you accomplished it or not). At the end of each week, there are three questions you can answer, but I'll admit - I haven't answered any of them yet! Three features I really love are the ribbon place marker, elastic band to keep the planner closed, and inside back pocket folder. I'm really bad about stuffing papers and cards in my brainstorming notebook, and I either forget they're there or they fall out in my car. The pocket helps to keep all my random papers collected neatly. It's always hard to deface something so new and clean, but I just had to add an Eco Cajun sticker to personalize my cover, and I'm actually kind of looking forward to really breaking in the planner so it's not quite so "new". The team at Karst has recommended that ballpoint pens work best on the stone paper, so I may have used it as an excuse to get myself some blogging/organizing pens. 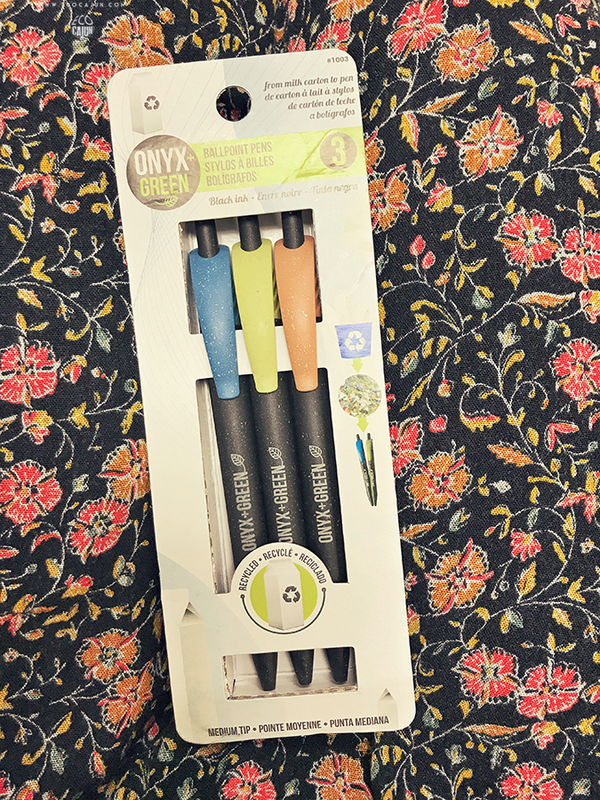 I found this three-pack of black ink pens from Onyx + Green that are made of recycled milk jugs. Perfect fit, right!? Writing on the stone paper is strangely a really satisfying feeling. The ballpoint writes so smoothly and authoritatively. 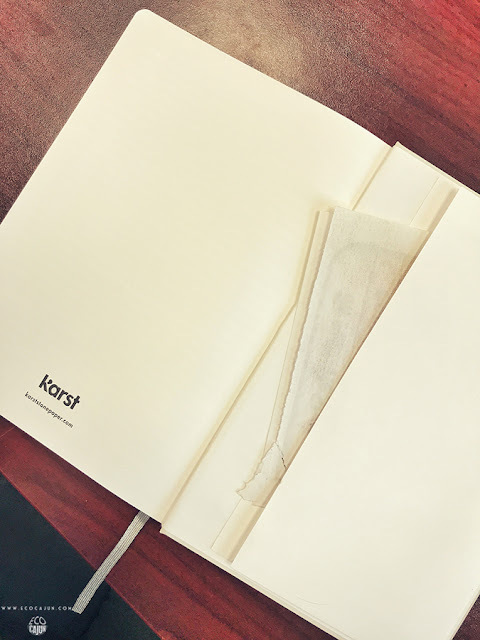 Yesterday, Karst shared on their Instagram that there are only a few 2018 planners left, but there are plenty of hardcover and softcover notebooks and pocket journals available, featuring the same velvety smooth stone paper. 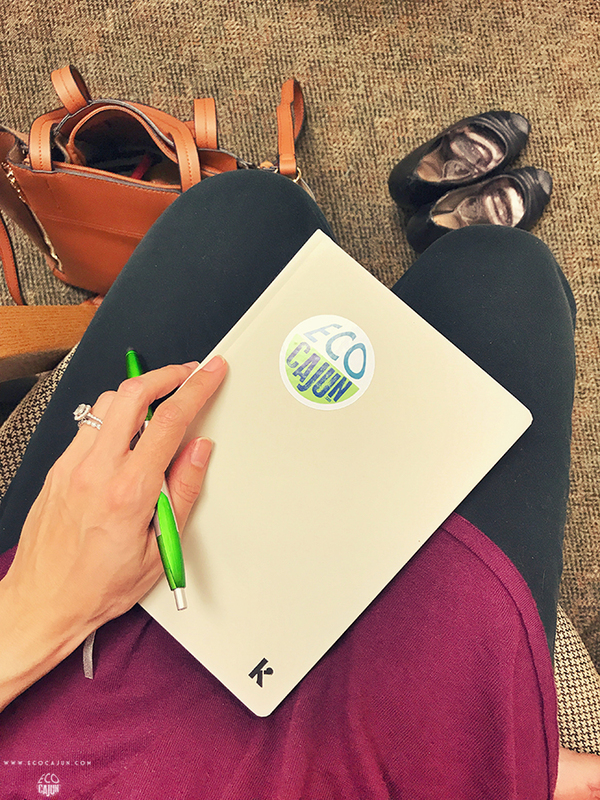 If you're looking for a notebook or planner, but still concerned about reducing your paper waste, consider switching to a tree-free option! 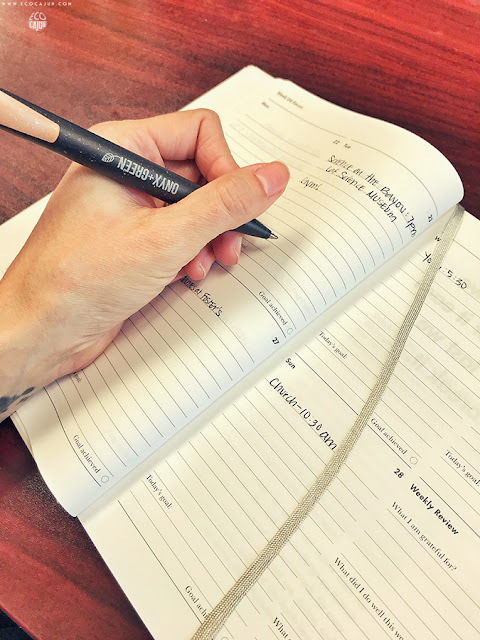 Disclaimer: Karst sent me their planner free of charge in exchange for this blog post, but opinions are all mine!